After three weeks of deliberating and debating, selecting and sampling I finally chose my gifts to take along to Let's Make Christmas. There was the supper that consisted entirely of chocolate truffles, the early morning when I felt increasingly tipsy from the overwhelming but very festive fumes from the boiling mulled wine syrup and the raised eyebrows from the librarian as I stripped the local library of all Christmas-related recipe books, two months early. 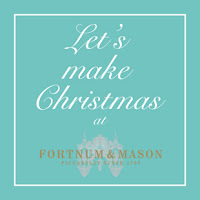 Let's Make Christmas, very kindly organised by the brilliant Vanessa Kimbell of 'Prepped' fame, took place at Fortnum and Mason. Fifty food bloggers meeting and greeting, sampling festive fare and a little gentle competition. There were four categories in the Great Blogger Christmas Gift Swop: cakes, sweets, preserves and drinks. All to be judged by one very lucky Dan Lepard. Pop the peel and juice of the orange, the lemon peel, sugar, cloves, cardamom pods, cinnamon stick and nutmeg into a large saucepan. Add the red wine and heat gently, stiring occasionally, until the sugar has dissolved. UPDATE: It was a brilliant afternoon, I thoroughly, thoroughly enjoyed myself. I met with lovely, lovely old friends and made great new friends, all in the grandeur, sumptuous and very festive surroundings of Fortnum and Mason. The full list of prize winners will be published on Vanessa's blog in due course. A big, huge thank you to Vanessa, judge Dan and all those at Fortnums. I was lucky to take home some gorgeous Christmas gifts, including Cindy from Food for Thought's Christmas-Feel-Good-Cookies, Sneige from Orange Thyme Blog's award-winning Port and Cranberry Mincemeat Pops and Pascale from Extra Relish's Christmas Cheese Sables. Sadly I have very few photos of the event as I was too busy chatting and scoffing. The buttery, boozy mince pies generously provided by Fortnums stood no chance. Perhaps not that surprising. I am delighted in picking your mini crunchy fruit & nut cake. I am worried that I will get to try very little of it though as my 7yo was seriously impressed and wants to eat it ALL HERSELF! So, I shall be making & baking more of these over the next few weeks. All of your Christmas gifts and goodies look so, so delicious, and so beautifully packaged too - it must have taken you hours and hours to do all of that! 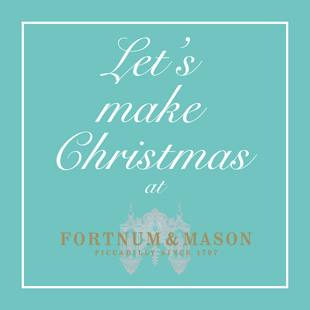 So glad to hear that you had a great time at Fortnum and Mason, it's at times like these that I wish I lived in London, or at least near enough to visit on special occasions! LOVELY to meet you Kate and what lovely treats you made and submitted, I REALLY wanted your cake!! I need to write up my post still......but loved reading this to capture the atmosphere all over again! Sounds like you had a great time at F and M.
Your packaged gifts look fantastic - worthy winners for that alone. It was really good to meet you and so many others and it was such a fun event. Good on Vanessa for organising it. I agreed that Your packaged gifts look fantastic - worthy winners for that alone. It was really good to meet you and so many others and it was such a fun event. Good on Vanessa for organising it.